We were first introduced to the Trewlove family in Beyond Scandal and Desire, book 1 of the Sins for All Seasons series. The six siblings are all bastards who were taken in by a kind woman and raised as siblings. Gillie Trewlove was a total tomboy growing up who eventually opened her own tavern. One night she interrupts a mugging in the alley behind her tavern and saves a man’s life. Thorne, Duke of Thornley, is in Whitechapel chasing after the woman who left him at the alter when he’s jumped by four thugs. Had he not been in his cups, he may have been able to fight them off. As it is, Gillie runs them off and, thanks to her quick thinking, surely saved him from death. As she nurses him back to health, and later helps him with his search for his errant bride, they become friends. Both would like more, but Gillie is a commoner and he’s a Duke. They realize marriage is not an option for them. 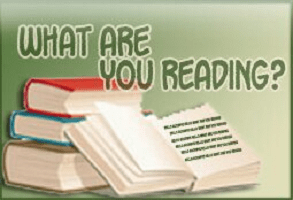 Holly: This is only the second Lorraine Heath book I’ve read (Beyond Scandal and Desire was the first). I really like her writing. She had me wrapped up in the story from page one. Sadly, I had limited reading time so it took me a week to get through it, but it wasn’t because the story was lacking. Rowena: I adored the book. 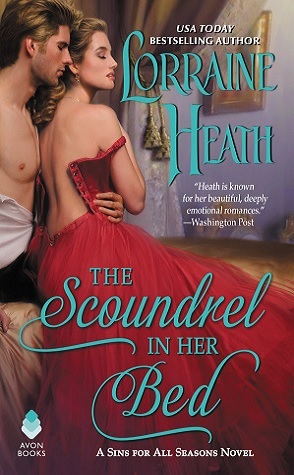 Lorraine Heath really writes my kind of historical romance and I enjoyed this book just as much as I enjoyed the first book in this series, Beyond Scandal and Desire. Thorne and Gillie were fabulous characters and their romance worked for me. I adored seeing Thorne set roots in Gillie’s life, I enjoyed seeing him get to know her through the people in her life and I enjoyed seeing him get to know Robin as well. Everything just worked for me. Holly: I really liked both Thorne and Gillie. Together and on their own. Every single time Thorne pitched in to help Gillie my heart melted a little. I loved how accepting and supportive of her he was. He told her multiple times she didn’t need to change for him, and he proved he meant it. I loved that. I also loved how capable Gillie was. It was a nice switch that Thorne needed her help, and not the other way around. Rowena: I also really loved how patient Thorne was with Gillie. He wanted her, but he waited until she was ready to take their relationship to the next level. All of the times that they relaxed together and made out like teenagers after they closed the tavern together was so cute to me. Holly: I loved how patient Thorne was with her. Patient isn’t even the right word. It’s not like he expected she’d let him into her bed and was being patient. He just enjoyed being with her and taking it slow. You know what I mean? Holly: Their romance was great. It was just so fabulous how accepting he was of her. I smiled when he gave her his jacket at the ball, and stood up for her to others. Rowena: Yes, I loved that he wanted to take care of her. I loved that she didn’t have to change one bit for him to fall in love with her. He fell in love with Gillie as she was and that made me happy. So as you can see, this book is going to get a good grade from me because it wasn’t just Thorne that accepted and loved Gillie as she was. Her entire family loved and supported her and that was great. Her talk with Mick and him making sure she understood that there was nothing she could do that would make him turn his back on her just melted me. Holly: I loved that Gillie was capable of taking care of herself, yet she made herself vulnerable to him. Rowena: Did you want to know who Gillie’s real parents were? Holly: I kind of did, but honestly, I was hoping we wouldn’t find out. I was afraid it would be a case of Gillie learning she was some aristocrat’s by-blow and that making her “acceptable” for marriage to a Duke. I was really happy when that didn’t end up being the case. Rowena: Yes! That’s exactly how I felt. The more accepting Thorne was with Gillie and who she was, I didn’t want to know that Gillie was actually a Princess and finally an acceptable Duchess for Thorne. I loved that she was acceptable to him no matter what. I think that’s why I am loving this series. The characters know their duty and yet, they follow their hearts anyway. Holly: I loved it when Thorne called Gillie Princess and, at first, she got all angry, thinking he was mocking her. Then she realized he meant it. Sniffle. Rowena: I can’t wait for Finn’s book. I can’t wait to find out where Livinia’s been this whole time. I can’t wait for Finn to see her again after all of these years and I’m so here for all of the angst that their romance is going to bring. Holly: I won’t lie, the Dowager Duchess kind of made the book for me. I was loving it anyway, but toward the end? She totally upped my enjoyment. Rowena: Thorne and Olivia’s book was a wonderfully romantic historical that I couldn’t get enough of. Their love for each other was sweet and I loved that no matter how much it hurt her, Gillie helped Thorne any way that she could to find Livinia. I also loved that she never gave up on finding the timepiece that was so important to Thorne. I loved that Thorne showed up every night to be there for Gillie, no matter what his duties were. They were a great team and their story warmed my heart. I have fallen in love with all of the characters that Lorraine Heath has introduced us to in this world and I’m super anxious for more. I give this one a 4.5 out of 5. Holly: This was a really great romance. I sighed, I laughed, my heart got all melty…it had it all. I really loved how Thorne fit himself into Gillie’s life. I loved how independent Gillie was, without being ridiculously stubborn about it. I loved how Thorne accepted her for who she was, without hoping she’d change a bit. I did struggle a bit to get into the book. I’m not sure if it was the book itself, or just that I kept coming at it in bits, and therefore wasn’t able to focus. I also got somewhat impatient to see how it would end. So I’m giving a 4.25 out of 5. I really loved the romance, but some bits pulled it down for me. I’m super excited about the release of this book so I’m thrilled to be featuring the second book in Lorraine Heath’s Sins for All Seasons series, When a Duke Loves a Woman. We’re finally getting Gillie’s book and we’re going to see her do awesome things. I can’t wait! The slow unknotting and unwinding of his neck cloth was next. Then he began rolling up the sleeves of his shirt. She’d seen him naked. Why was it the baring of only his forearms was so much more provocative? Loosening the top two buttons of his shirt, he returned to the bed, sat on its edge, and reached for the tray, picking up a cloth she hadn’t noticed.